As a consequence of the landlord’s extensive development plans and their subsequent impact on the branch, regrettably Trafalgar Square Post Office branch will close permanently at this location in December 2018. We are committed to re-establishing services locally and are working to find a long-term solution for the Trafalgar Square area. In the meantime there are several branches in the area which may provide suitable alternatives for customers. 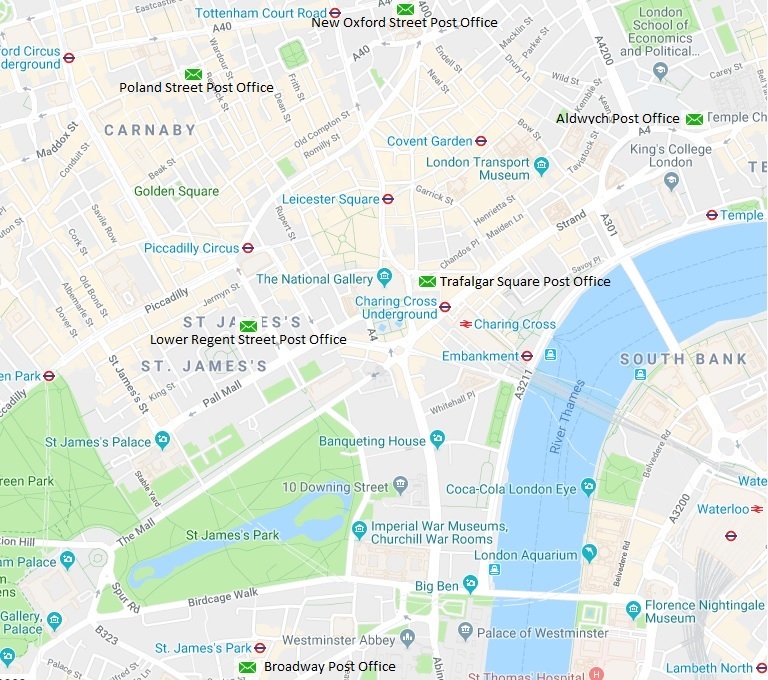 Lower Regent Street Post Office is located just 0.5 miles from Trafalgar Square Post Office and a further four branches, New Oxford Street, Poland Street, Aldwych and Broadway Post Office are within a mile of the current branch. We’re now starting a period of local public consultation and we’d like you to tell us what you think about access to Post Office services in the area following the closure.